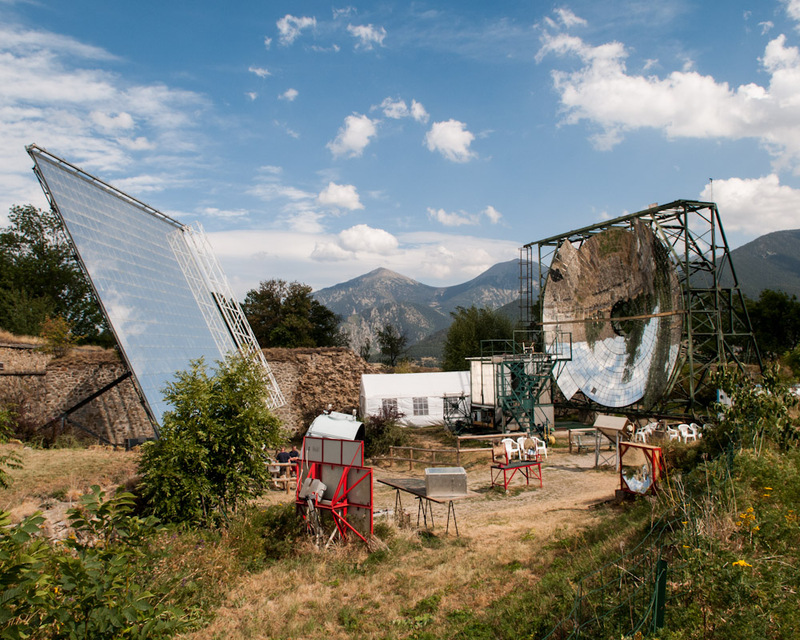 The Mont-Louis solar furnace, built in 1949 by Dr. Felix Trombe, is an experimental solar energy facility in the French Pyrenees. It's the first of its kind in the world, and was the precursor to the incredible, huge solar furnace just down the road at Odeillo (photos to come in a later post). This solar furnace concentrates the power of the sun into a tiny area where objects can be heated to extremely high temperatures; this heat is completely pure because there are no burning substances that can pollute the heat. The furnace was originally designed to test scientific principles and how different materials react to high temperatures, but nowadays it is used to fire clay, and for educational demonstrations. The organisation that owns the furnace now is developing programs to take the technique to tropical countries to create cheap, sustainable energy and ovens.